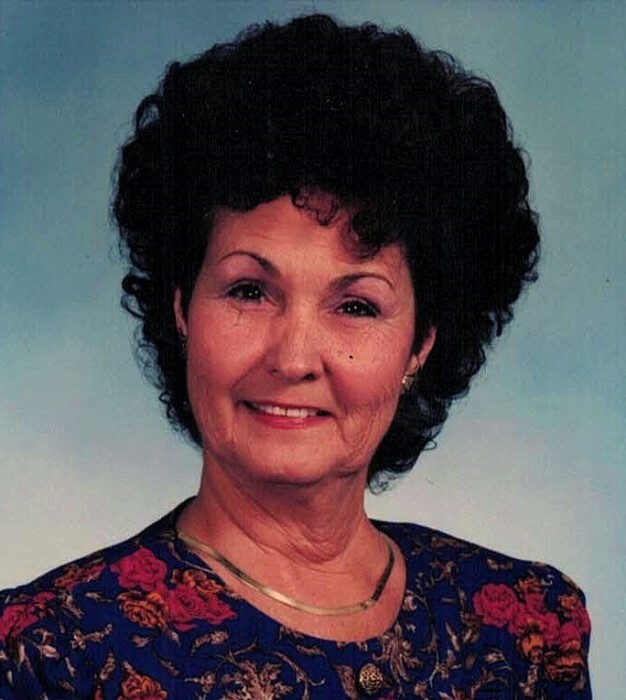 Mary “Correna” Blackburn, 84, passed away peacefully at her daughter’s home on August 12, 2018. Correna was born in Hawkinsville, Georgia, but has lived most of her life as a resident of Oceanway. She was the daughter of the late Eugene and Willie Mae (Singleton) Peavey and a very loving mother, grandmother, great grandmother and sister. Correna enjoyed antiquing, jewelry, fashion and her time with family. She was preceded in death by her parents, her brother, Eddie Peavey, sister, Ermanell Coleman, son, Michael Anthony Blackburn, her beloved husband of 41 years, Julius “Bob” Blackburn and her dear longtime friend, and “stepfather/grandfather” to the children, George Edward White. Survivors include her daughters, Sherry Crotts (Robert) and Tina Thompson (Dwayne) both of St. Augustine, FL; grandchildren, Jeff Crotts (Shanna), Michael Daulton, Marshall Blackburn, Kyle Green (Megan); great grandchildren, Jacob Crotts, Austin and Ethan; brothers, Donald David Peavey (Chris) of Clarksville, TN and Terry Peavey (Donna) of Jacksonville, FL; sisters, Dorothy Prochazka of Rockford, IL, Helen Fife (Billy) and Lucille Barksdale both of Middleburg, FL, Madine Kammerdiner (Bill) of Orange Park, FL and Nancy Hildum (Roy) of Green Cove Springs, FL.